New Feature automatically subscribe new ZBS contacts. 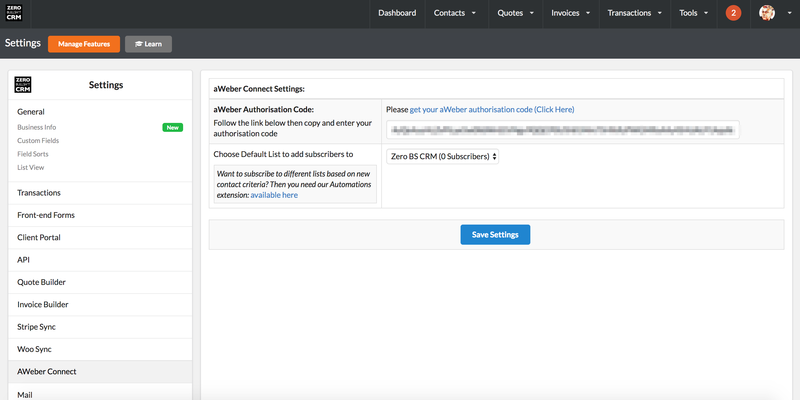 Connect ZeroBS CRM to your email marketing using AWeber. You may be a long term AWeber user or just starting out. Making sure you grow your email list is important in making new sales. The AWeber connect extension allows you to connect your CRM and AWeber and make sure new contacts get added to your list. 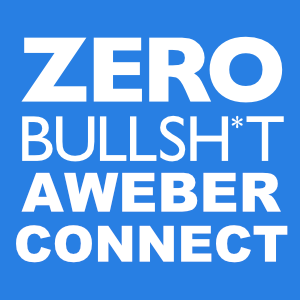 Power up your AWeber with Zero BS CRM. Never forget to add a subscriber to your list. Connect your account to our app and start adding your contacts. When used with Zero BS CRM: Automations. You can send your ZBS contacts to specific AWeber lists, based on the criteria. Perfect for smarter email communications. 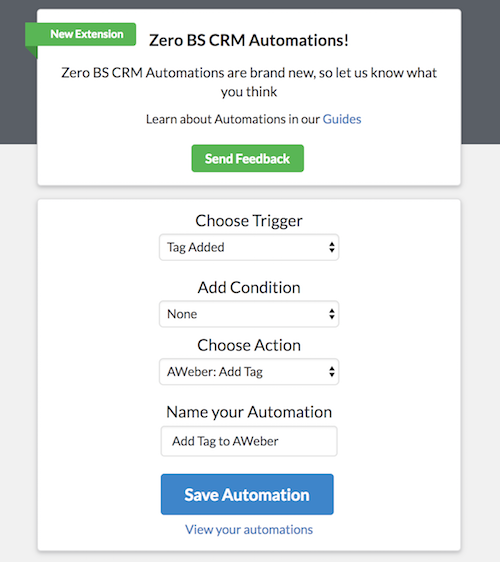 When used with Zero BS CRM: Automations. 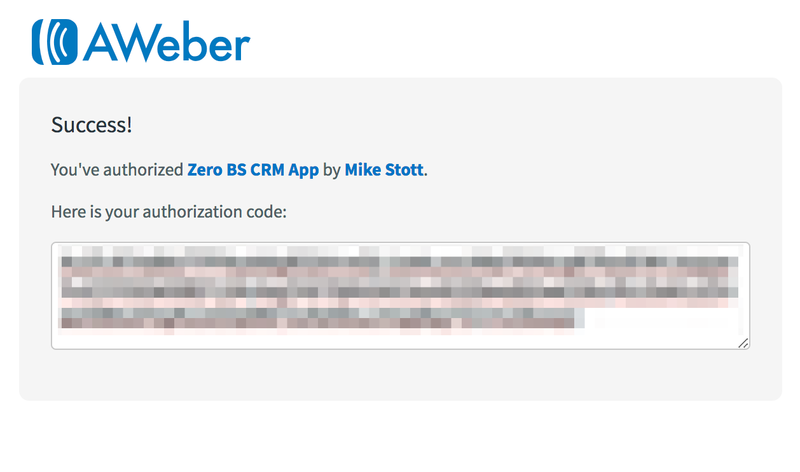 You can automatically tag your subscribers when they get a tag added in Zero BS CRM. 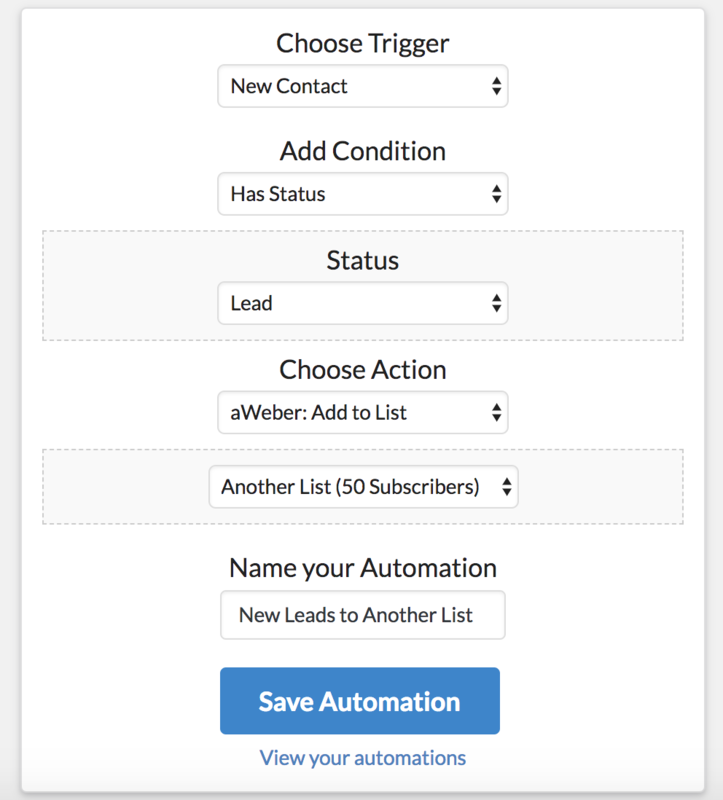 This extension amplifies your email list building by making sure your new CRM contacts get added to your AWeber list. Tested on multiple server setups. Note: If you want to use this with our other extensions, such as invoicing pro and awesome support connector your cheapest option is the Entrepreneur’s Bundle. AWeber Connect is included in the Entrepreneur's Bundle - join the other happy entrepreneur's, save $$$ per year and get instant access to every extension!